Good Day! We are Christian Bautista and Angelo Valeriano, 4th Year BS Geography students from the University of the Philippines - Diliman, currently taking Geography 199 (Seminar/Thesis) under Ms. Mylene De Guzman and Mr. Marion Micah Tinio. 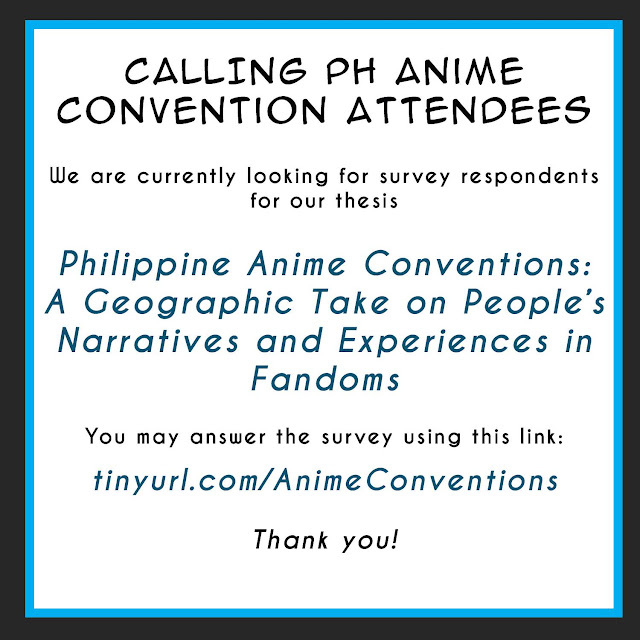 Our study aims to reveal the geographic phenomena within the walls of anime conventions, as well as the narratives of the participants themselves. Information gathered from this survey will be strictly confidential and will be only used for this research. 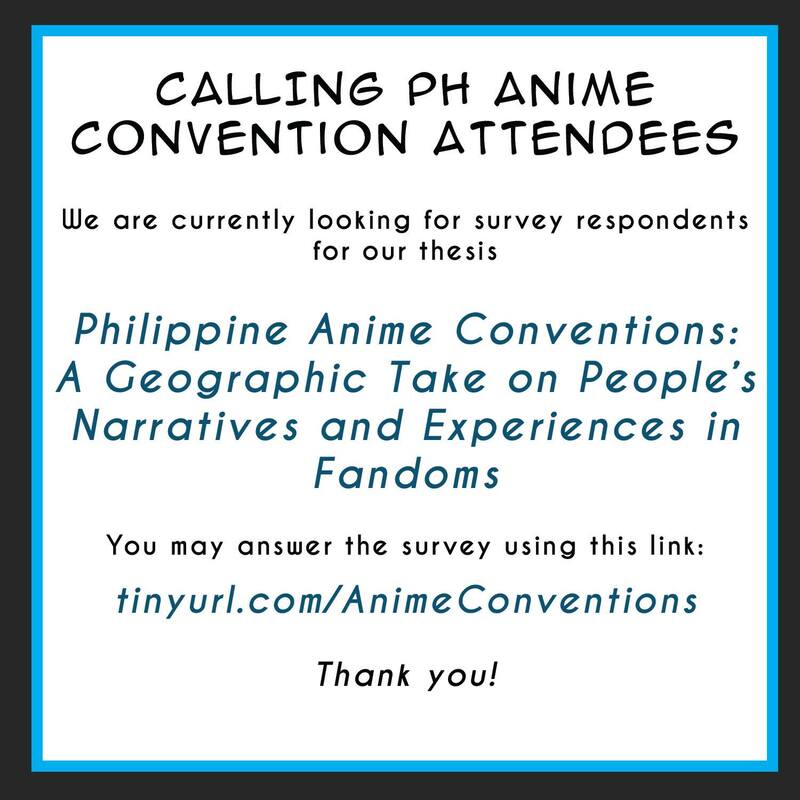 Seems like anime conventions is really mainstream now and is already part of various thesis and dissertations. Without further ado here is the link to their survey. Please answer and let us help them. Don't forget to check our LIST OF COSPLAY AND OTAKU EVENTS.